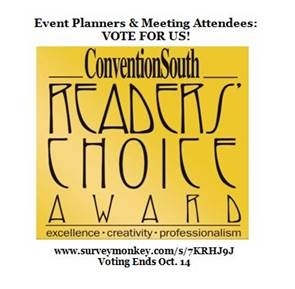 ConventionSouth 2016 Readers’ Choice Award Winners! are then compiled onto an online ballot where meeting professionals and fans are asked to vote for the best of the best. been the most successful and engaging year yet! resources within the meetings industry,” O’Connor said. meetings held within the South, according to O’Connor. A complete list of award winners can be found online here. For more info about why The King and Prince Beach & Golf Resort should host your next meeting, click here. To see our oceanfront meeting spaces, menus, and general area info, click here. A complete list of Business & Meeting awards received by The King and Prince Beach & Golf Resort is here. Looking for reviews from other meeting planners? Check out those blogs here and here.